Roots Hall was built in 1955, when it became Southend United’s permanent home although the club initially played on the site of this stadium as early as 1906. Plans are in place to move to a new stadium at Fossetts Farm, though work has yet to begin on the new development. 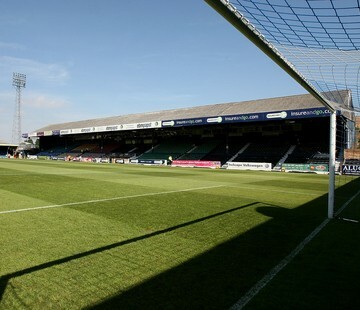 The South Stand is the most modern stand at Roots Hall, having been opened in 1994. This is a small double decker stand where the upper tier overhangs the lower tier. The other three stands are all single tiered, with the North Stand including a relatively new scoreboard which was installed in 2012. 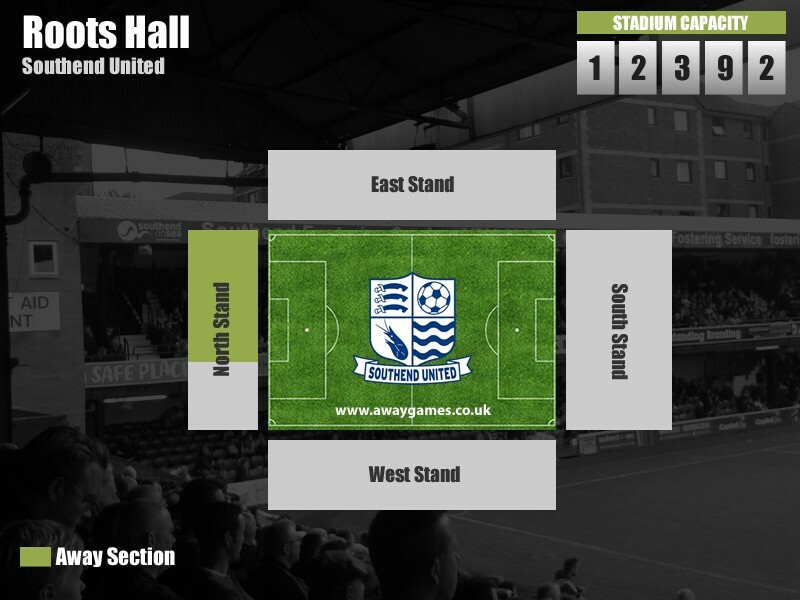 Away fans visiting Roots Hall are located on one side of the North Stand, with a typical allocation of around 1,200. However, if there is demand then the whole stand can be allocated which is around 2,000 seats. Parking at the stadium itself is reserved for Car Park Season Ticket holders, corporate guests and club officials. The best bet for away fans are street parking which is directly behind the away end, or a couple of car parks situated near the stadium. We’ve compiled a list of car parks, below, near to Roots Hall for hassle free parking while you’re at the match. Southend Civic Centre SS2 6ER £2.40 0.7km The Council owned Civic Centre car park offers parking for £2.40 for 3 hours, and free after 6pm which comes in useful for evening matches. It’s just a short walk from the stadium but make sure to get there early to avoid missing out on a space. Southend High School for Boys SS0 0RG £5 0.8km The local Southend High School for Boys offers matchday parking for £5 and is around a 10 minute walk from Roots Hall stadium. The closest railway station to Roots Hall is Prittlewell, which is served by trains from London Liverpool Street. It is located just under half a mile away from the stadium, and will only take around 5 minutes to walk. Upon exiting the station, turn right and follow the road until you come to a traffic light controlled crossroads. You will see the ‘Fish House’ Fish & Chip shop on your right. Walk past this and take the next right turn. Continue for around 100 metres and you will see the stadium on your left. There are a number of away friendly pubs near Roots Hall, all of which cater to different needs. Please note, however, that some bars require club colours to be covered and some do not allow children. However, rather than take our word for it, we want to give you the view from other away fans who have visited Roots Hall. Over the coming months we will be building up fans reviews of the best places to drink on an away trip to Southend United, and you’ll be able to find them here. Southend offers a variety of overnight accommodation to suit all budgets. See what other away fans think of Southend United’s Roots Hall in our ‘Away Day Reviews’. See how Southend United perform in our away day rankings, where away fans rate the pie, pint, cuppa and away day overall.